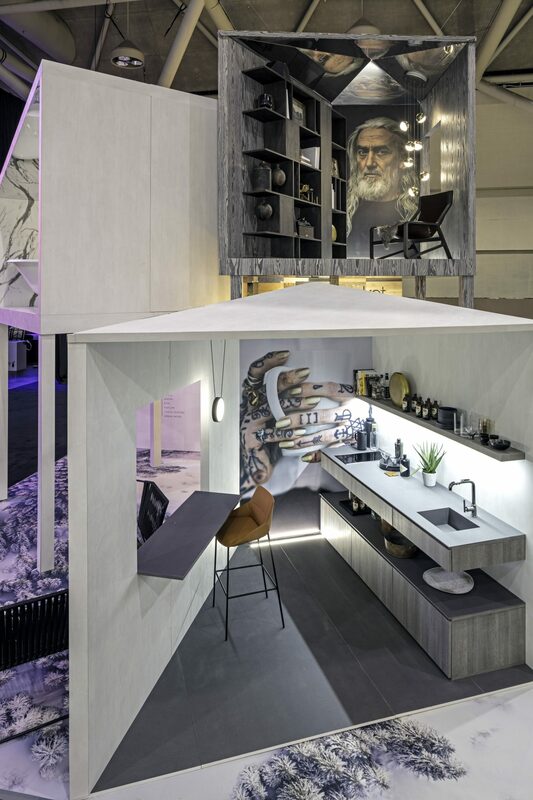 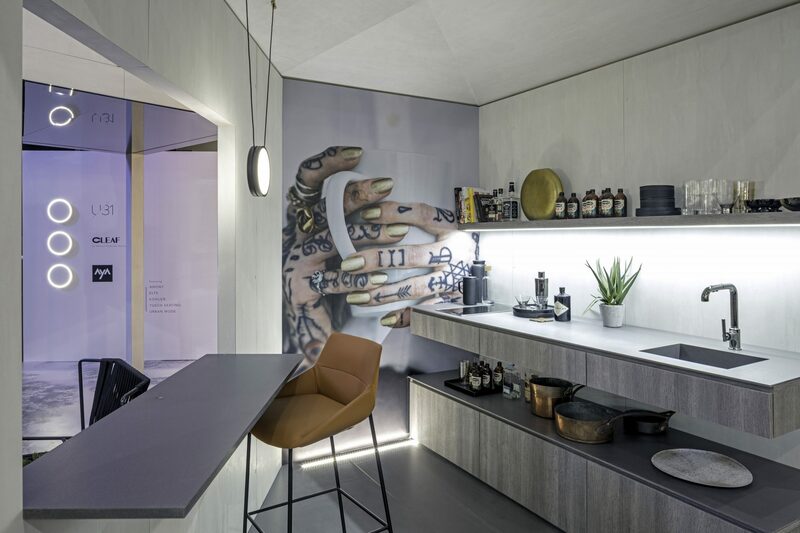 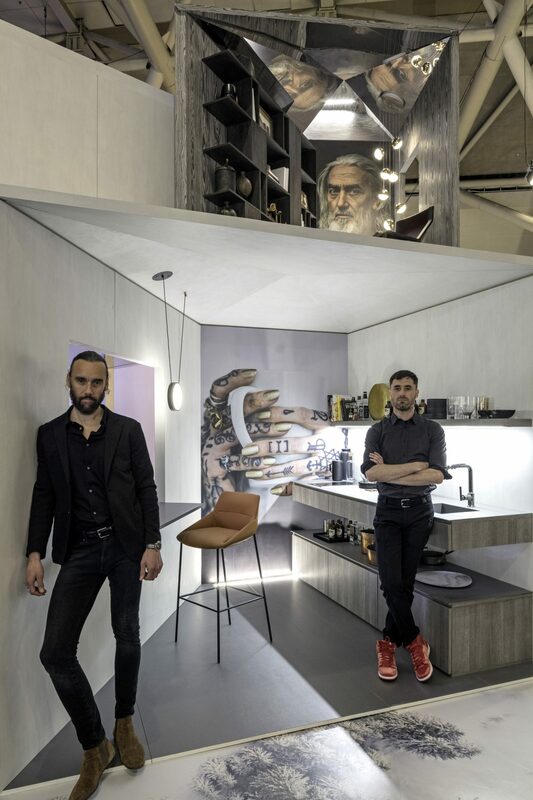 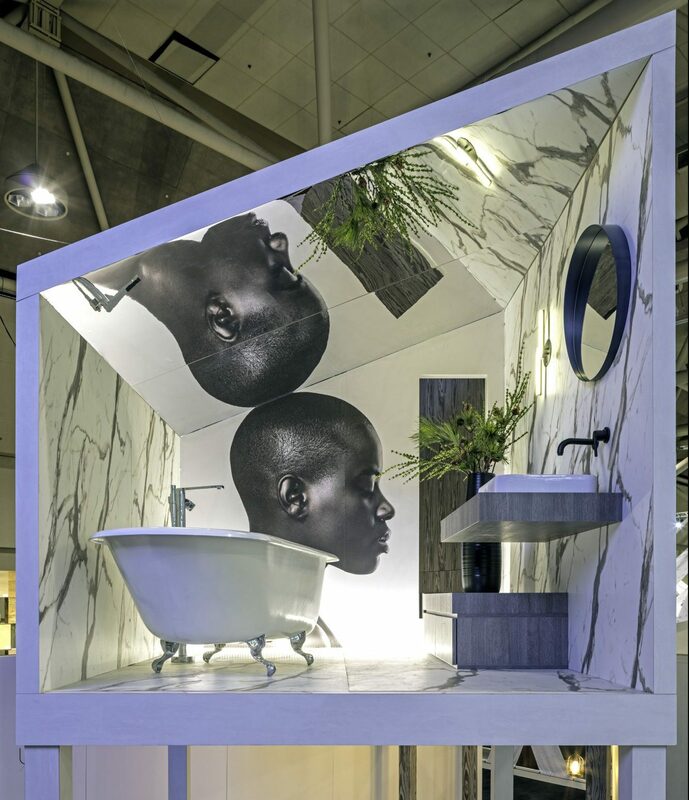 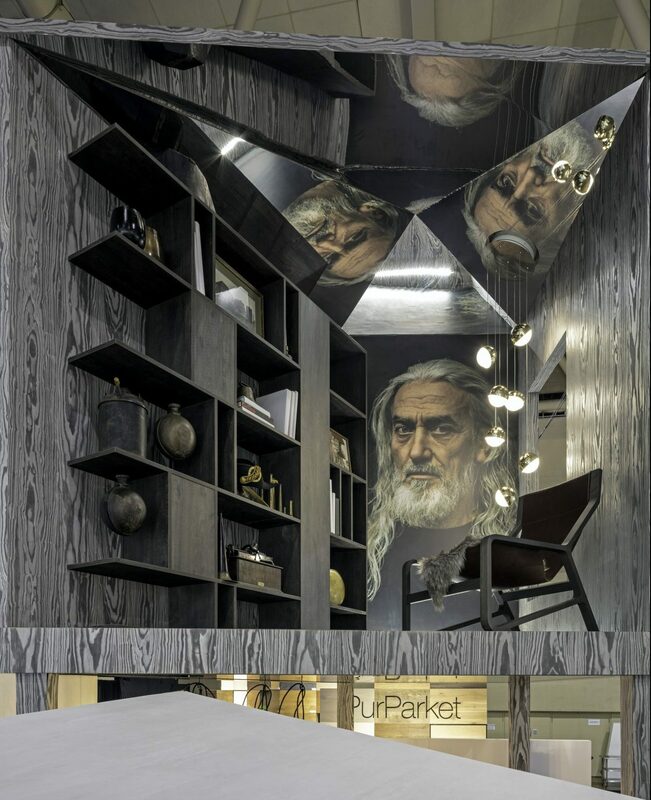 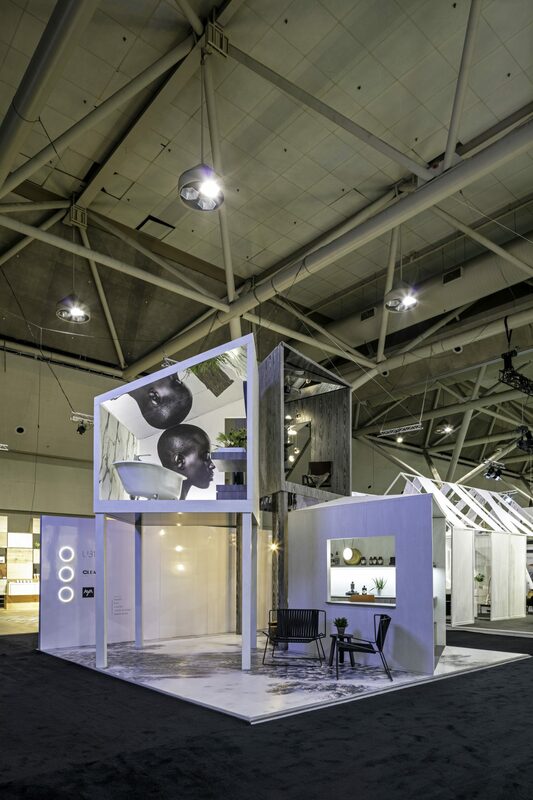 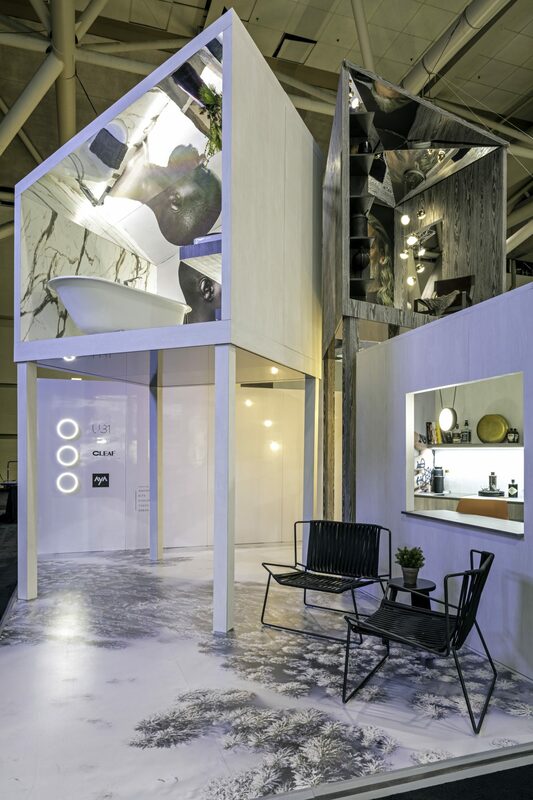 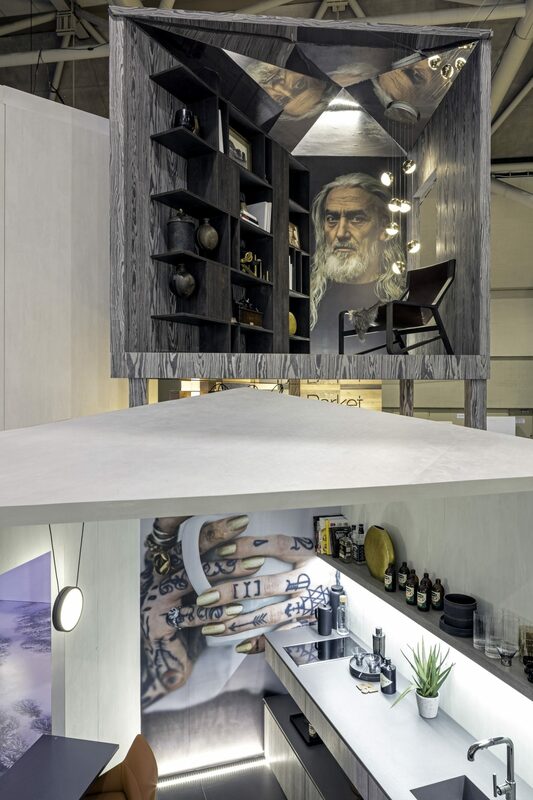 This silver award-winning 'Future of Canadian Living' exhibit for Toronto's Interior Design Show (IDS18) is a collaboration with AyA Kitchens and Cleaf by Weston Premium Woods. 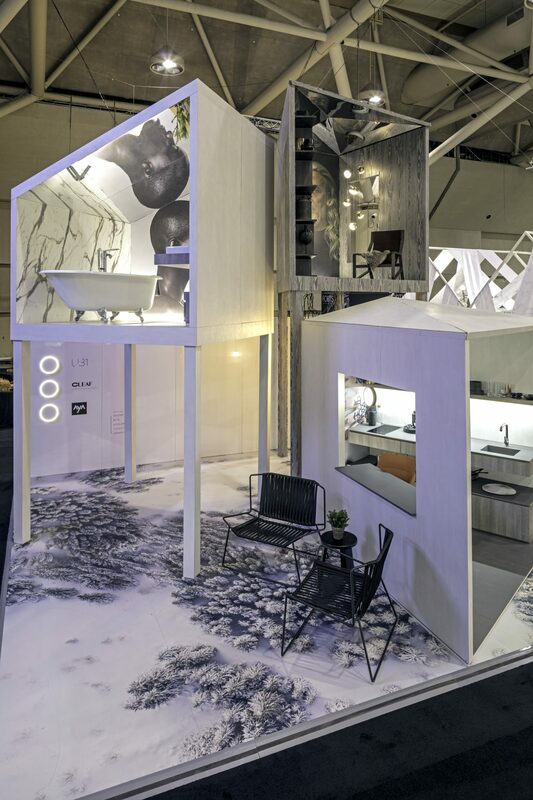 The ambitious concept explores contemporary vertical living through a series of dramatic tree-house vignettes, comparable to life-sized dollhouses, while simultaneously showcasing Cleaf's alluring panel systems. 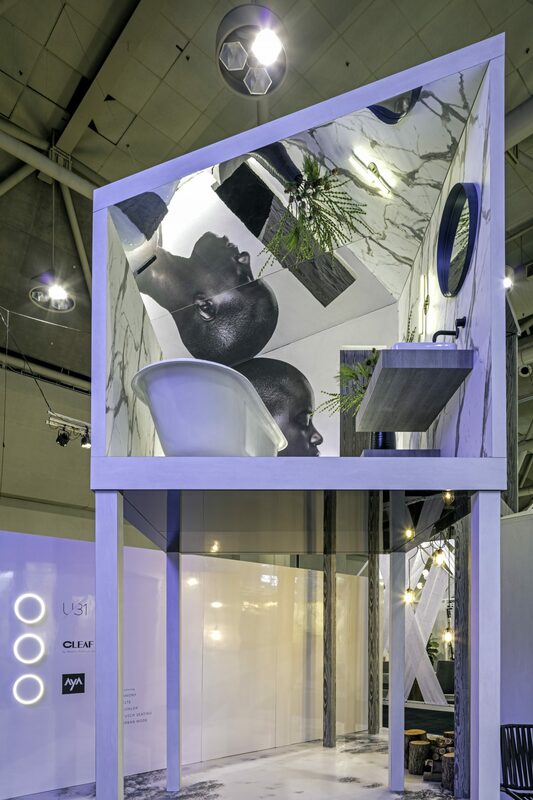 The vignettes 'float' on a classic Canadian winter backdrop - a large-scale photo of snowy treetops transferred onto a 'Sintra' panelled floor - simulating a dramatic 360-visual experience.